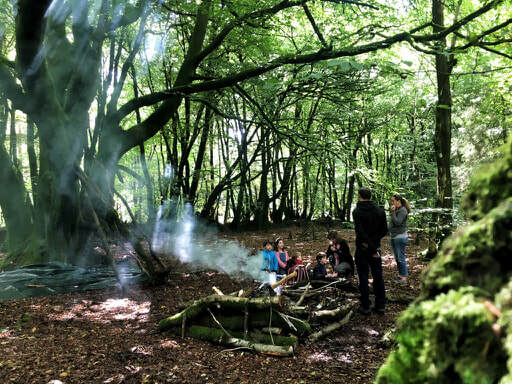 Blackdown Yurts is located in Mid-Devon on the edge of the beautiful Blackdown Hills Area of Outstanding Natural Beauty (AONB). We are also close to the East Devon and Dorset AONBs that incorporate the world famous Jurassic Coast, famous for dinosaur and ammonite fossils, and Somerset's Quantock Hills AONB and the National Parks of Dartmoor and Exmoor. Perfect for exploring by car, on foot, by bicycle or on horseback. 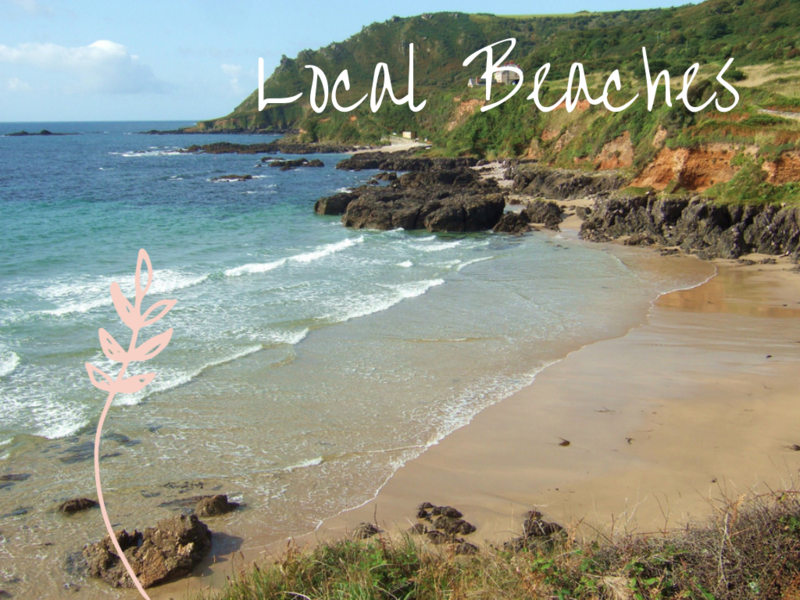 We are conveniently placed for visiting the beaches of Devon's East, South and North Coasts. Whether you wish to paddle, swim, build sandcastles, look for fossils, get out on the water in canoes, stand up paddle boards or surfboards, there will be something to suit you. In addition to all these wonderful natural environments on your doorstep, there are a multitude of visitor attractions to suit all tastes. Read on to find out more. We are just a short hop to the M5 at Cullompton and the A30 at Honiton meaning you can access all areas easily. Guests even venture as far as Cornwall to take in delights such as the Eden Project. 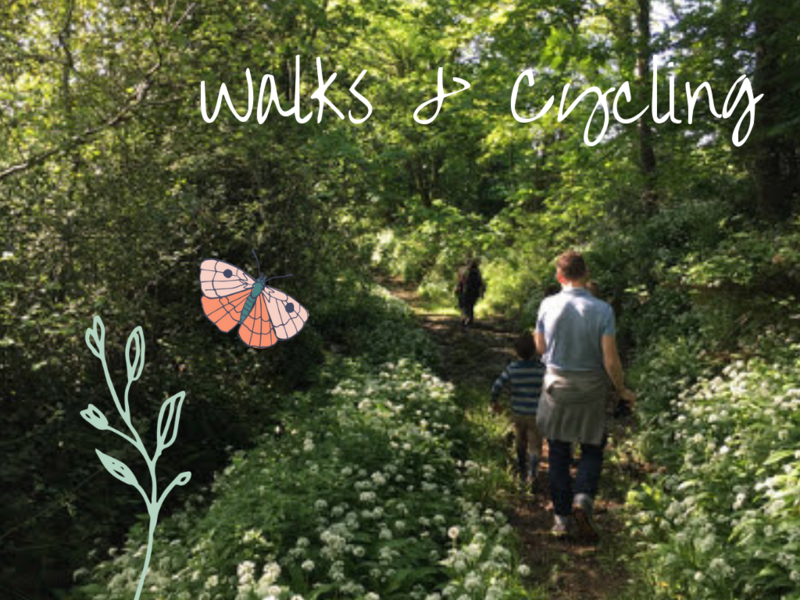 Woodland - Our nearest woods are walking distance from the yurts or, if you'd rather not walk up the hill, a short drive to park at either the churchyard at Blackborough, Blackborough village hall or the Forestry Commission car park. With a mix of pine plantations and glorious beech woods, these are a fantastic place to play and explore. Our favourite game to play in the woods is 40:40. There are also geocaches available to find. 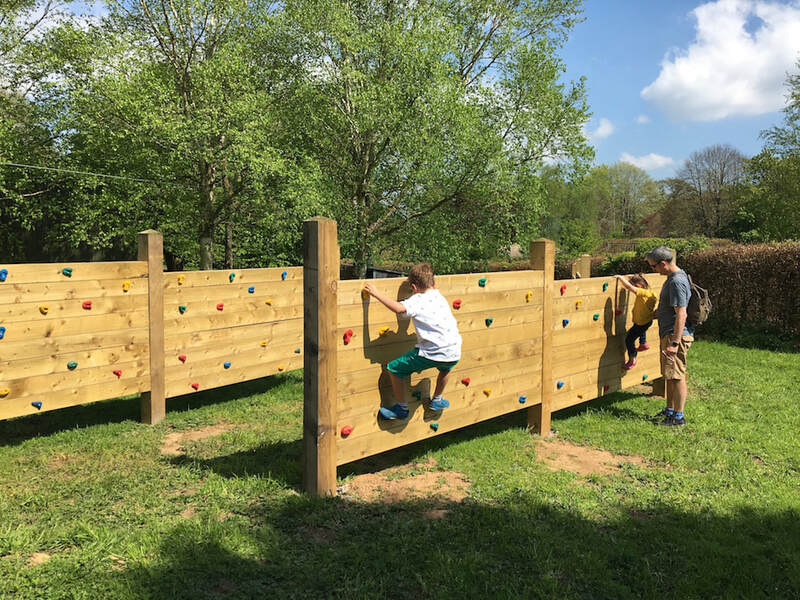 Haldon Forest is a massive forest park near Exeter - get up in the trees with Go Ape and Go Ape Junior, take your own bikes or hire some when you get there. You can also hire segways, go horse riding or explore on foot. There are Gruffalo orienteering and Zog trails for the little Julia Donaldson fans amongst you. ​Rivers - Our nearest river for stunning walking and river swimming is at Culmstock where there also happens to be a fab pub and a lovely cafe. Check out our blog about Culmstock here. Further afield there is River Dart country park on the edge of Dartmoor where you can even go water-zorbing. ​Moorland - We are almost equidistant between Exmoor and Dartmoor where there are plenty of wonderful walks in the stunning scenery and attractions and pubs to keep you busy and well fed and watered. Follow the links above to their webpages for inspiration. On my list for Dartmoor is Dartmoor Prison which you can visit and which was the subject of a recent novel by Radio DJ Simon Mayo. Also Dulverton on Exmoor where there is a gorgeous book shop called Number Seven Dulverton which runs walking book clubs. 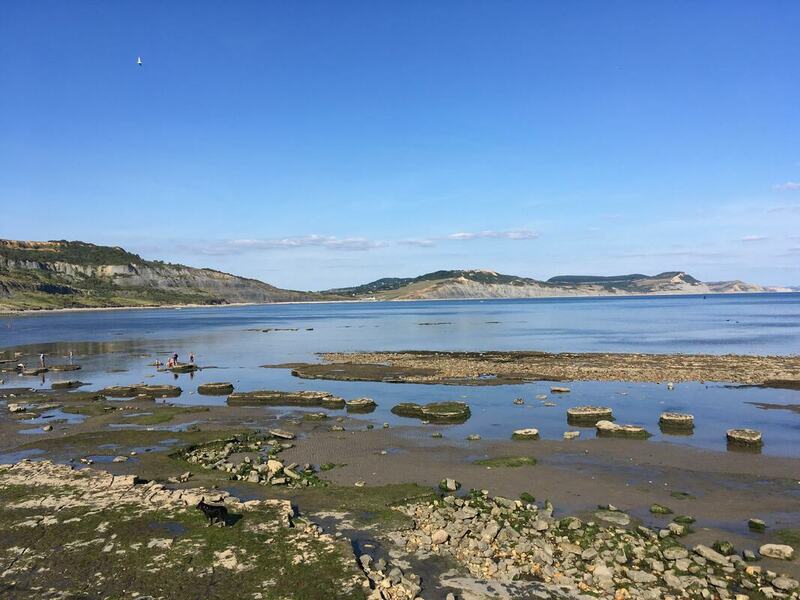 Coasts - Our nearest beaches are in East Devon from Exmouth in the West to the world famous fossil beaches of Lyme Regis (pictured) and Charmouth just into Dorset in the East. Read all about these on our beaches page. You can also access the beaches and visitor attractions of South Devon and the wilder beaches of the North Devon coast that are good for surfing. All around us are signs of the past use and occupation of the countryside. These make great places to visit. Garnsey Tower - Discover a little piece of history on our doorstep. A decaying tower in Blackborough woods that served as shelter for whetstone miners. We provide maps of the local area to help you navigate around. 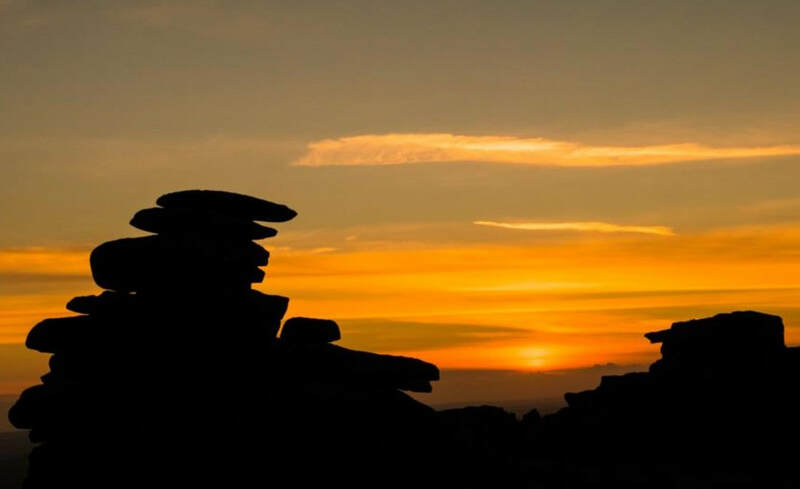 Culmstock Beacon - A walk that is not for the faint-hearted but you will be rewarded with views over the surrounding countryside from the stone hut (which curiously resembles a yurt actually) that housed a beacon warning of the approach of the Spanish Armada. 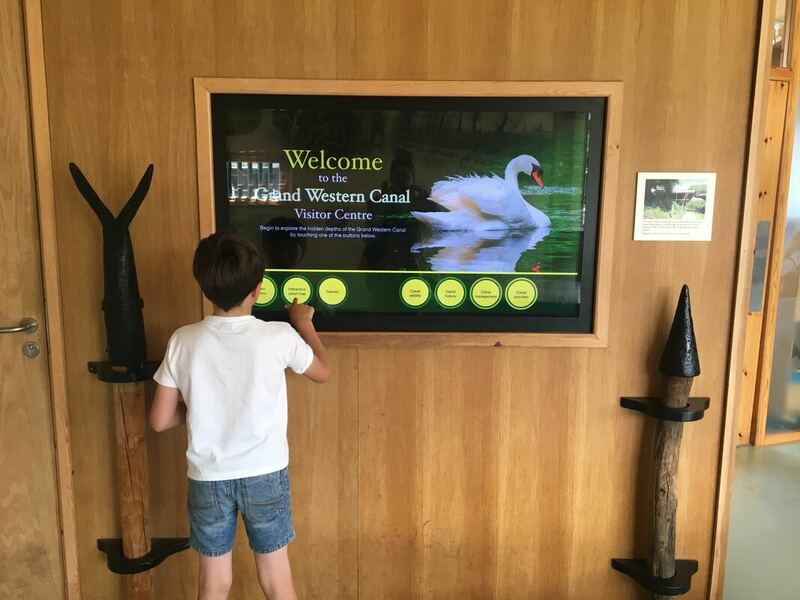 Grand Western Canal - Experience a bygone era and learn about the lime kilns at Tiverton. A family run horse drawn barge slips gently along the canal. A small but fascinating visitor centre will tell you about the industry that brought the canal here. Plus there is a gorgeous little playground and a floating cafe/bar called The Duck's Ditty. There are a plethora of animal based attractions in Devon. Here we highlight some of the best for seeing wild animals. ​Paignton Zoo - a gorgeous zoo set in a small seaside town. Wildwood Escot - Relaxed park with native and former British wildlife, plenty of play areas, maze and a reconstruction of a Saxon village. Read our blog about a day at Escot. 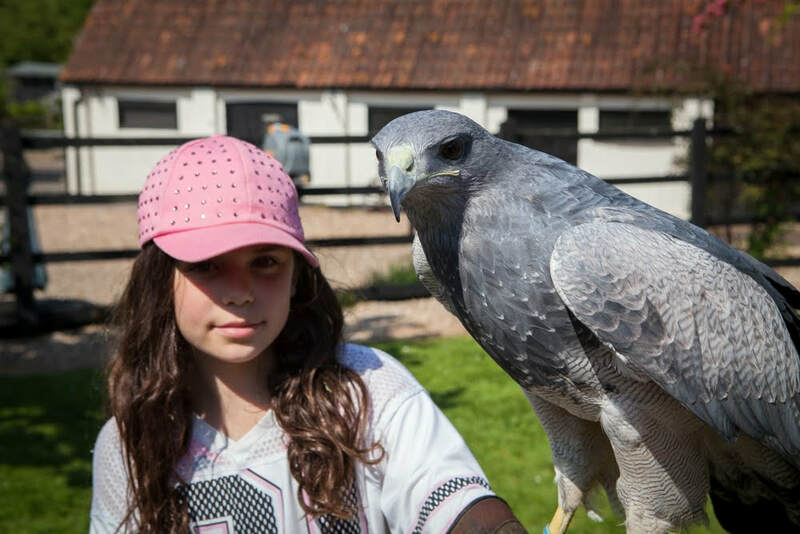 Yarak birds of prey - Get a real feel for flying birds of prey with a half day or full day experience at Yarak. Read about our experience here. Quince Honey Farm - due to re-open in fantastic new premises on the outskirts of South Molton on 6th April 2019 Quince Honey Farm provides a fascinating peek into the life of bees and how honey is made, harvested and bottled. Plus a great shop with plenty of products made from honey and beeswax. 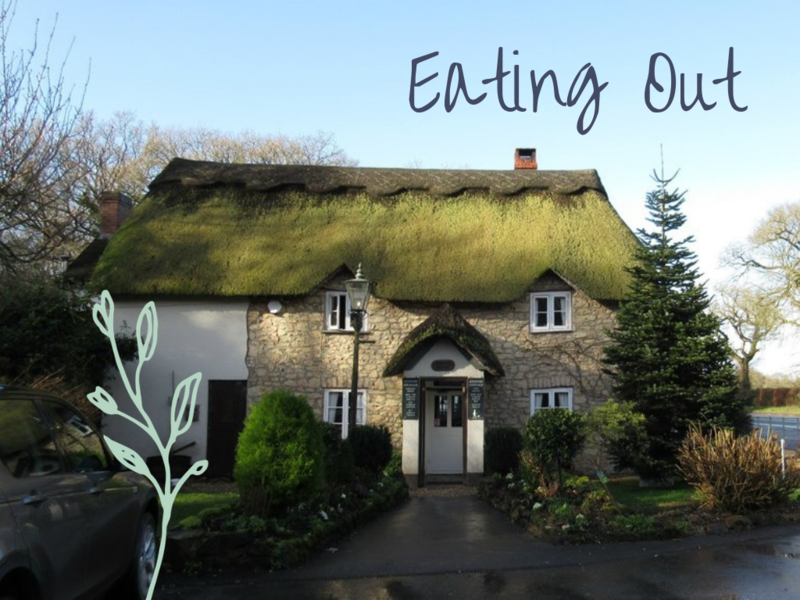 Read a blog about our visit to Quince Honey Farm (in it's old premises) here. ​Alpaca walking - take an alpaca on a walk at Bearhouse alpacas in Sidbury in nearby East Devon Area of Outstanding Natural Beauty. Killerton - Our closest National Trust property, just south of Cullompton, set in beautiful parkland. An intriguing "bear's hut" and an ice house to discover in the grounds. Combine a trip with a muddy visit to the nearby Bear Trail. Knightshayes - Near Tiverton, with fabulous walled kitchen garden and playground made from fallen trees. 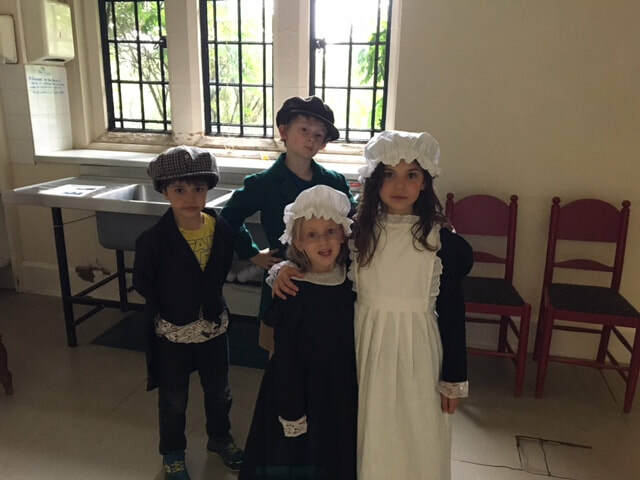 Tour the house and dress up in the servants' quarters. 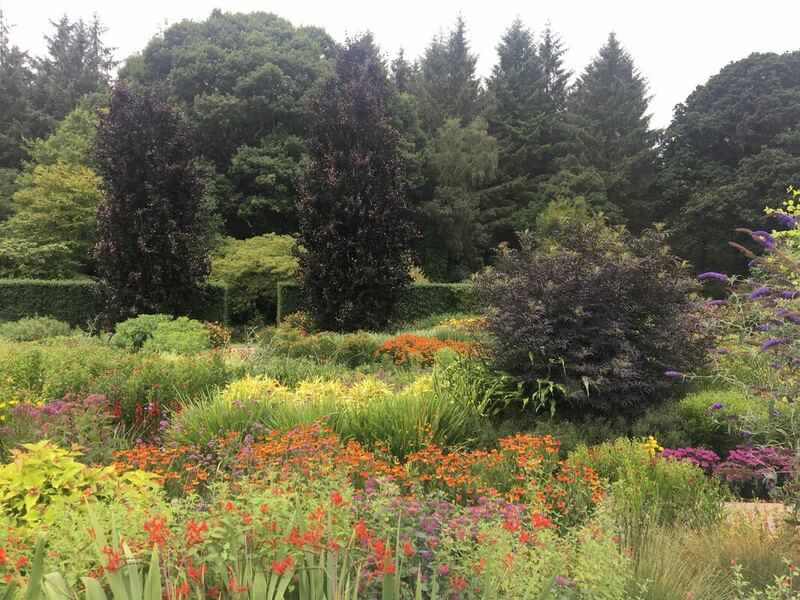 ​RHS Rosemoor - Devon's answer to the RHS flagship garden at Wisley in Surrey. If you like plants and gardening this is one not to miss. Coldharbour Mill - Did you know there is Devon tartan? Neither did I. 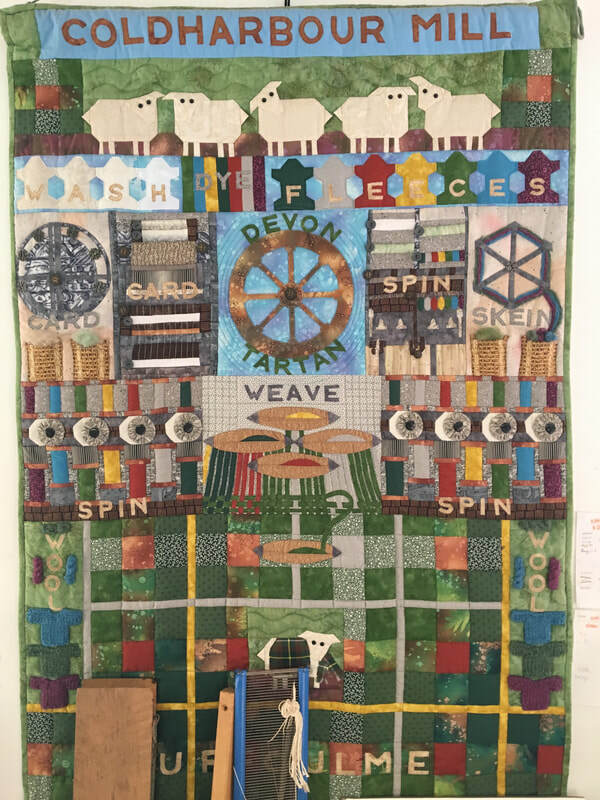 Learn how the Industrial Revolution changed the textile industry at Coldharbour Mill in Uffculme, where wool is spun into yarn and woven into cloth. Read a blog about our visit. 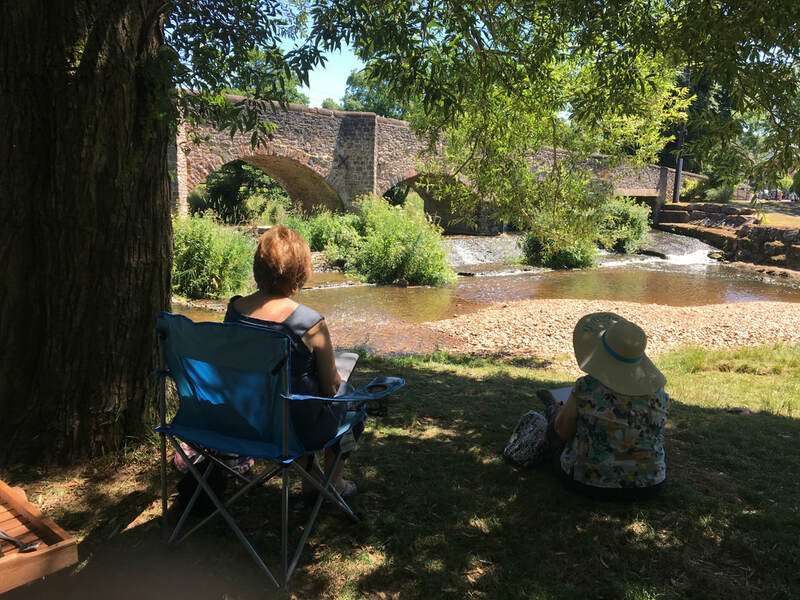 ​Coldharbour Mill will be holding a craft fair on the weekend of 11/12 May 2019 as part of the Blackdown Experience which we will also be taking part in, hosting workshops at the yurts. With fabulous gallery space, a brilliant cafe and super shop, this is a great place to visit and if you are lucky you may even see kingfishers darting along the river beside this converted mill building. Do please let us know if you visit anywhere particularly fantastic that we could feature on this page.